A team of semi-professional astronomers based in the UK and Italy are using the combined power of the 2 metre Liverpool Telescope and the twin 2 metre Faulkes Telescopes as part of an extended comet research project. With support from Liverpool John Moores Astrophysics Research Institute, Nick Howes and Ernesto Guido of the Remanzacco Observatory have just started a new observing programme which focuses on the so-called "Comet of the Century", comet C/2012 S1 ISON. First detected by Russian astronomers Vitali Nevski and Artyom Novichonok late last year, Howes and Guido have been monitoring ISON, a sun-grazing comet, since day one. They recently noted a small dip in the apparent brightness of the comet, which they now aim to follow closely through regular observations with the LT. This monitoring campaign is made possible using the Robotic Observing system available at the LT and the Faulkes telescopes. "The LT gives us such a detailed view of comets like ISON. 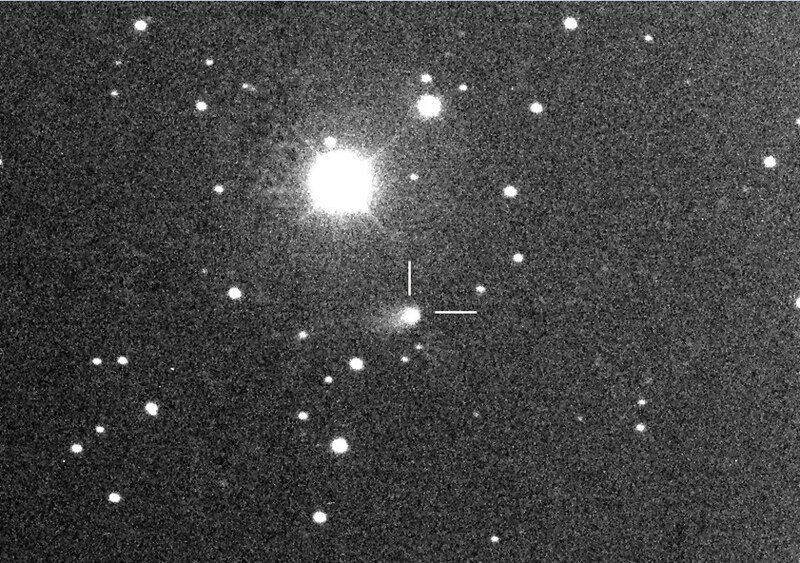 When far out these objects usually display quite limited activity, but in this case we see a comet that warrants the high resolution observations which the 2m aperture gives us," says Howes, who also works as the pro-am programme manager for the Faulkes Telescopes and as a research associate with the Lowell Observatory in Flagstaff on their LARI program. The team are particularly interested in tracking the evolution of ISON's coma and tail, looking specifically for changes in the distribution of dust and gas. The observations will contribute to NASA's Comet ISON Observing Campaign organised by the Naval Research Labs in the US. While monitoring ISON, Howes and Guido also plan on studying Comet 67P, which ESA's Rosetta spacecraft aims to visit, orbit around, and actually land on in 2014. "These are exciting times for comet research. Through the generous support of the LT team and the PATAG program, we as `amateur' astronomers are able to conduct extensive research on these mysterious solar system bodies, and at the same time support the professional community," says Howes. For further details and to monitor the progress of Howes and Guido, visit their blog.